Microsoft have yet again scored news headlines, however, this time it isn’t looking that pretty. 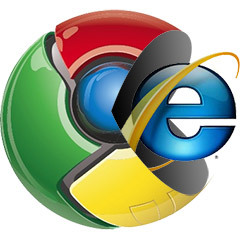 An alert has been issued to internet users using Internet Explorer versions 6 through 11 of a significant security flaw on the browser. The security alert rings bells for the immensely used XP operating system, and an awakening siren for many businesses that haven’t yet upgraded to Windows 7 or 8. The alert warns users on the vulnerability of remote code execution where computer hackers are able to gain access to a user’s computer and function it secretively. Microsoft have been persevering to solve the problem following several attacks on American companies. Users have been requested to use another browser in the meantime. However, if one is unable to switch browsers, downloading the latest version of Adobe Flash will help to eliminate the infection. This particular problem has enabled a professional group of cyber hackers to obtain the right to confidential information from a wide range of defense and financial industry computer systems in a campaign named ‘Operation Clandestine Fox’. The United States Computer Emergency Readiness Team (USCERT) released on a statement that this security issue may perhaps head towards a serious conciliation of the infected systems. FireEye spokesman Vitor De Souza has asserted: “It’s unclear what the motives of this attack group are, at this point. It appears to be broad-spectrum intel gathering”. Basically, internet users are highly advised to use Mozilla Firefox, Google Chrome or other browsers. This right here is a clear indication of what a cyber attack appears to be. The hackers have only been wiping data, but the complexion of this security alert is that hackers could literally conquer entire systems and remove data, alter data, add information or purposefully ruin devices running on affected operating systems. This lays immense pressure upon Microsoft. This major security flaw could result in a global rejection of Internet Explorer, rather than the expiration of more Windows XP systems. Users now understand that they can completely bypass the infection by simply switching from Internet Explorer to Google Chrome to Mozilla Firefox. Microsoft have officially terminated it support for computers functioning on the current OS Windows XP, stating that there are concerns for users who aren’t receiving any security updates or bug fixes. According to security firms, Windows XP is still running approximately 15 to 25 percent of computers across the globe to the infected systems. The frenzy in the media is developing as hastily as hackers have been infecting XP computer systems.